This workshop is limited to 18 participants. There will be a lottery for 2019 VPS members. Applications for the lottery must be received by February 1. Names will be drawn on February 16. After 18 names are drawn, more names will be drawn from a waiting list as needed. A list of the names drawn will be sent to all who have expressed interest in the workshop. Given the popularity of this workshop, a lottery seems to be the fairest process. We will try to have Richard back again. Participants will receive a detailed outline of the week’s activities, along with an area map and lodging information, as well as a supply list. After May 29, 2019: Non-refundable unless another artist can fill the space, which is likely to happen. If the space is filled, a full refund will be issued. May 29 – Remaining payment due. To apply for the lottery, please send an email to the workshop coordinator, Joyce Kahn, at tallitot@gmail.com. For more information, call 802 829-7148. There will be a lottery if more than 15 people sign up (members have priority over non-members). If we do not need a lottery at the end of March, all those who have signed up will be notified and seated in the workshop. After that, sign up will be on a first come basis, including non-members. will be at the end of March. When notified a $100 deposit will hold your seat. This deposit must be received by April 30th. Final payment is due June 30, 2019. In this workshop, Jacob Aguiar will guide you through his process of creating pastel landscape paintings in the studio. 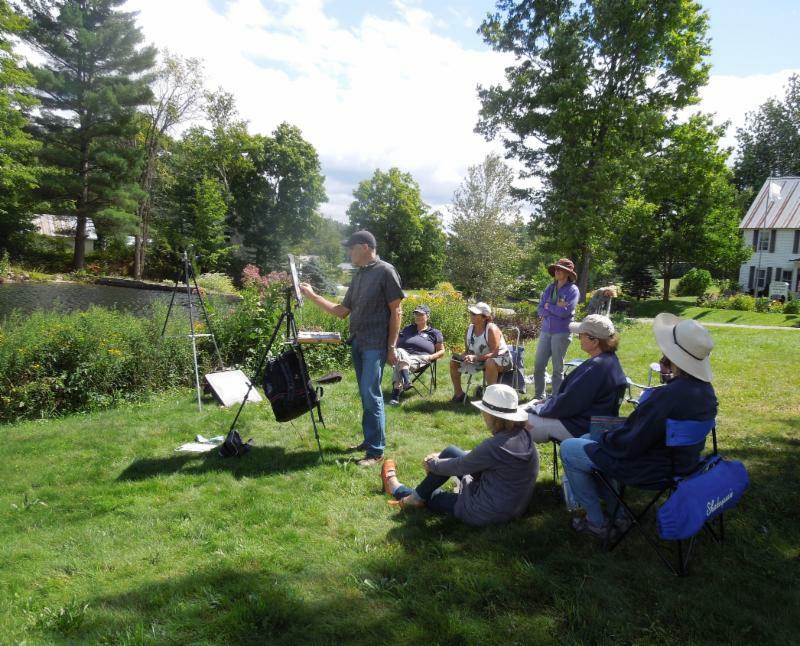 Focusing on the foundations of successful representational art, including composition, value, color, and drawing; and including specific exercises such as creating notans, small color studies, and underpainting techniques, Jacob will take you through the process of producing landscape paintings in pastel. Each day will include at least one demo, followed by ample time for students to paint with assistance from Jacob at their easels. The first day of the workshop will be indoors emphasizing the color study (plan to complete 4-6 paintings this day), and day two and three will include larger paintings utilizing lessons learned from the color study process. These larger pieces will utilize specific underpainting techniques. If you are interested in learning in a supportive but challenging environment, this may be the workshop for you! UART Pastel Paper Online Exhibition, and has had feature articles in a number of publications, including Southwest Art, Plein Air Magazine, American Art Collector, and the Pastel Journal. He currently splits his time as an integrative naturopathic physician and professional artist. A traveler at heart, he enjoys visiting new areas and teaching workshops throughout the country and internationally. You can find more of his work by searching for him on Facebook, Instagram, at www.jacobaguiar.com or by visiting one of his galleries. chances you have of getting a reservation.